Cats are prone to urinary infections. The best medicine for cat urinary infections is prevention, and antibiotics often do not help. With some types of infections, however, antibiotics like Zeniquin may be useful. 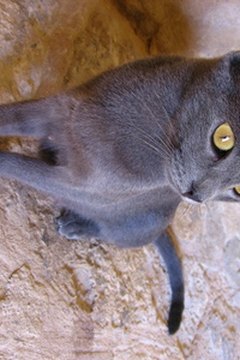 Feline lower urinary tract disease (FLUTD) and feline urologic syndrome (FUS) are characterized by difficulty urinating. Sometimes there is blood in the cat's urine. If the infection becomes severe enough and the cat is in enough pain, the cat may cry or vomit. Most feline urinary infections are the result of crystal formation in the bladder. Sometimes the crystals may block the urethra (the tube out of the bladder), obstructing urine flow. If this happens, it is a life-and-death medical emergency. Because most owners cannot tell whether the cat is obstructed or not, it is important when any cat has difficulty urinating that a veterinarian conducts an examination. Feline urinary infections are often not bacterial and do not respond to antibiotics. If the cat's symptoms improve, it is often because the infection has run its course and cleared up on its own. In some cases, the veterinarian can perform a urine culture, which may confirm a bacterial infection. In these cases, antibiotics may be beneficial. Zeniquin (marboflaxin), made by Pfizer Animal Health, is a broad-spectrum general antibiotic designed for cats and dogs over 12 months of age. It comes in 25 mg and 50 mg tablets. The standard dose is 1.25 mg per pound of body weight once a day, but your veterinarian may safely increase it to 2.5 mg/lb. For the treatment of urinary tract infections, your cat will take Zeniquin for at least 10 days. Side effects with Zeniquin at 2.5 mg/lb once a day include decrease or loss of appetite, decreased activity and vomiting. At 1.25 mg/lb daily, side effects include diarrhea and soft stool. There are some potential drug interactions, so make sure your veterinarian is aware of any medications or supplements your cat is taking before you start Zeniquin. With any medication, always watch for signs of allergic reaction: anaphylaxis, an immediate reaction with life-threatening symptoms including vomiting, diarrhea, staggering, rapid drop in blood pressure, swelling of the throat leading to airway obstruction and cardiovascular collapse. Sudden swelling, redness and itching of the lips, the eye area and the neck is called urticaria. Symptoms of urticaria may also include hives. Consider putting your cat on a diet formulated for urinary health. There are several commercial cat foods whose ingredients are blended to promote urinary function and discourage growth of crystals or bacteria. Ask your veterinarian if a urinary diet is right for your cat.